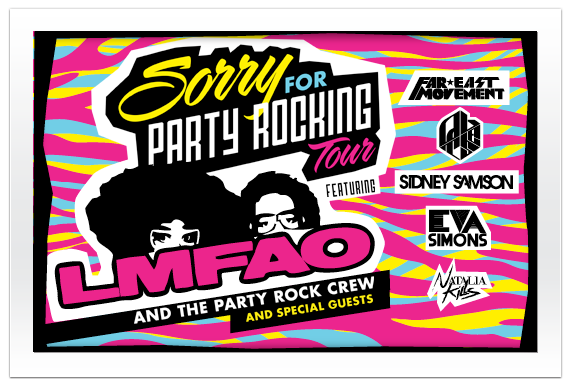 LMFAO and the Party Rock Crew with the Far East Movement, Quest Crew, Sidney Samson, Eva Simons & Natalia Kills at the Amway Center on Saturday, June 23rd, 2012 at 7pm. Ticket Prices: $27.50, $47.50 & $63 | All tickets are subject to applicable taxes, service, handling and facility fee charges. This entry was posted in Concert and tagged Amway Center, Rap, Top 40 on February 8, 2012 by Orlando Concert Guide Staff.